Sunderland were 5-2 shots for April’s Premier League clash with Middlesbrough at the Riverside but, with both clubs now in the Sky Bet Championship, they are almost twice the price for a victorious trip south. Boro’s 1-0 victory over the Black Cats was the only win in their final 21 top-flight games but they have stopped the rot in the second tier. The same cannot be said of Sunderland. Expectations were low enough after their pre-season ended with a 5-0 home defeat to Celtic but even the most pessimistic Mackem couldn’t have anticipated a tally of ten points from their first 15 league games. Last weekend’s 3-3 draw with fellow strugglers Bolton was the final act of Simon Grayson’s brief tenure and the trip to improving Boro is a tough assignment for caretaker bosses Billy McKinlay and Robbie Stockdale. The Sunderland players may not mind an away fixture given that their winless run at the Stadium of Light stretches back to December 2016, but Boro have won their last two games at Reading (2-0) and Hull (3-1) and have a decent chance to complete the hat-trick at home. As recent 3-3 draws with Bolton and Brentford suggest, scoring goals isn’t the problem for Sunderland. 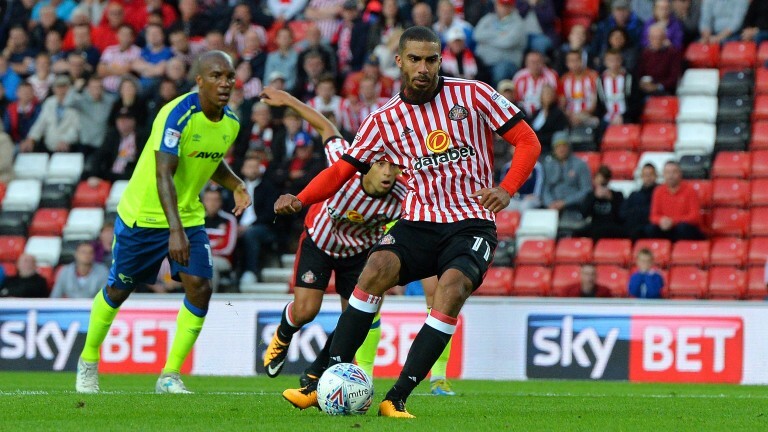 Both teams have netted in 12 of their 15 league games and striker Lewis Grabban has notched eight times in his first ten starts for the club. But Boro’s attackers should be eager to get at a woeful visiting defence. Martin Braithwaite and Britt Assombalonga have shared six goals in their last five games and odds-against quotes for three or more goals make plenty of appeal. Fabio da Silva is expected to recover from an ankle knock and Boro have no fresh injury concerns. Paddy McNair is pushing for a first start after almost a year on the sidelines but Tyias Browning is still recovering from a hamstring problem. Sunderland have scored 16 goals in their last eight league games, failing to win any of them.